The Zombie Sam project started in early 2011 by Zombie Sam (guitarist/composer/arranger). Zombie Sam decided to create something all by himself, linking his huge passion for horror and “Tim Burton” style movies, dark soundtracks and ambient sounds with his heavy and massive guitar riffs and orchestral sound. 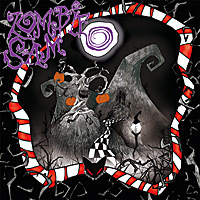 On 5 March 2012 Zombie Sam’s first official EP entitled “Zombie Sam” has been released via Murdered Music/Coroner Records. “Zombie Sam” has been produced by Alessio Neroargento and mixed and mastered by Ettore Rigotti at The Metal House Studio (Disarmonia mundi, Destrage, Blood Stain Child, Slowmotion Apocalypse and many others). Zombie Sam worked on a Neroargento’s song included in the “Advertising Box” Ep and on the live side as guitarist in NeroArgento’s band. 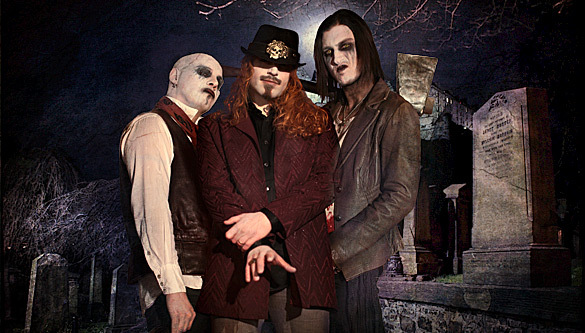 On October 2012 Zombie Sam decided to record a full album and he called Ivan “King O’Lantern” on vocals and Patrik “The Beetlejuice” on drums to complete the line-up. A creepy and Halloween-ish family was borned. A new musical genre created by passion for soundtracks and industrial music. A strong expression of music created and arranged in various ambiences (fable, fairytale, horror, halloween and electronic). The album has been produced by Alessio Neroargento at the “AExeron Media Studio” and mixed and mastered by Ettore Rigotti at The Metal House. on “Stay Away From Me” and “Unreal”. 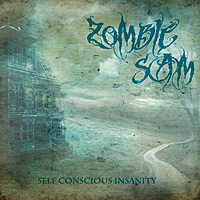 “Self Conscious Insanity”, first Zombie Sam full album, will be released on June 2013 via Coroner Records.